Pest description and damage These pests are larvae of small wasps called sawflies. Roseslugs are small yellow-green larvae, about 0.25 inch long that skeletonized the upper leaf surface of roses. The bristly roseslug has spiny hairs while the roseslug larva is hairless. The curled rose sawfly is a darker green and often is found curled on the leaf. 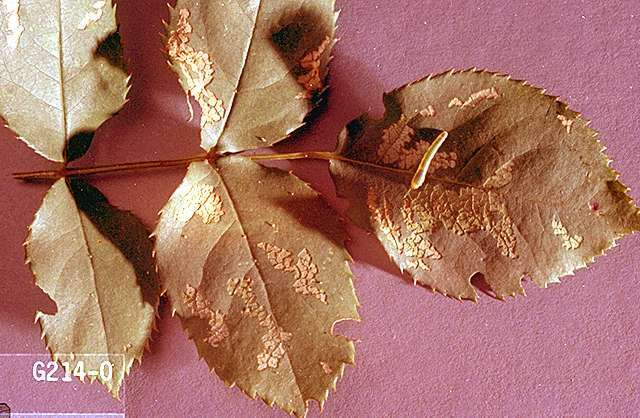 Signs of feeding include dry brown blotches where all of the leaf except the veins and the lowest layer of leaf tissue are removed. Roseslugs rarely occur in large numbers but can do considerable aesthetic damage. Curled rose sawfly consumes, rather than skeletonizes the leaves. Biology and life history Rose is the only food of this insect. The female lays eggs in pockets on the edges of the leaves. 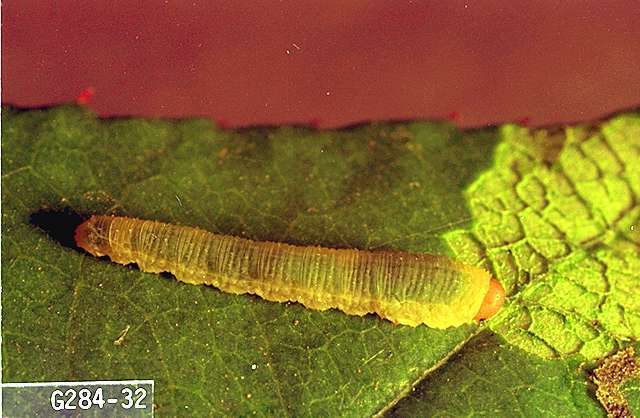 The larvae emerge and feed on the surface of the leaf. When fully grown, the larva drops to the soil to pupate. There are one or two generations per year depending on the species. Pest monitoring Watch for the first "windows" to appear in leaves in the spring. Controlling the first generation reduces damage from subsequent generations.